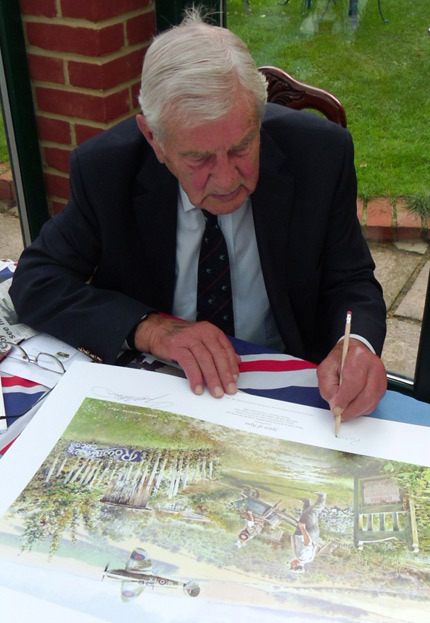 Rodney Scrase DFC, kindly spent a day at the Museum on Sunday 9th October 2011 to meet and greet visitors both young and old, plus to sign books and prints. It was a double delight in that Rodney sold many copies of his interesting book ‘Spitfire Saga’. Sales were so good, that he had to send his dear wife Sue off to fetch more copies! You are currently browsing the Shoreham Aircraft Museum – News archives for October, 2011.